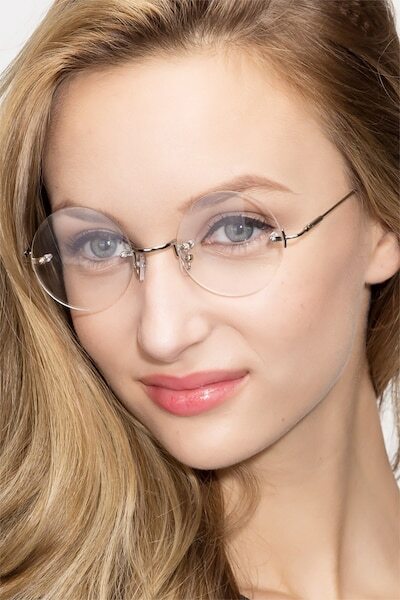 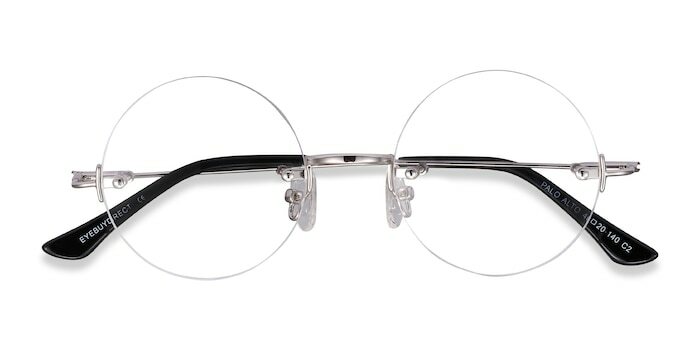 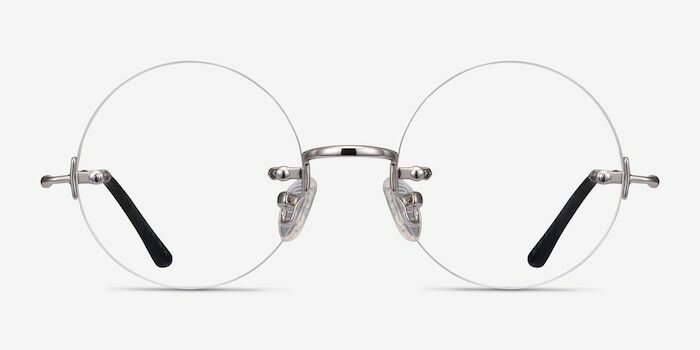 These silver eyeglasses definitely have a classic vintage feel. 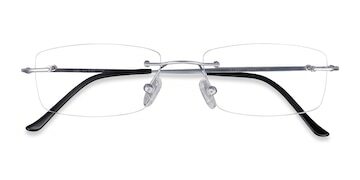 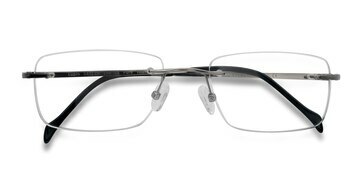 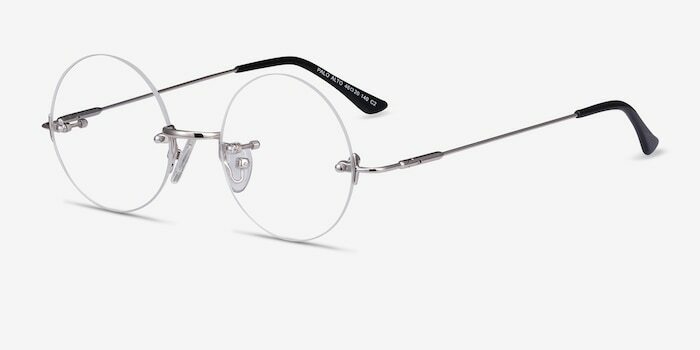 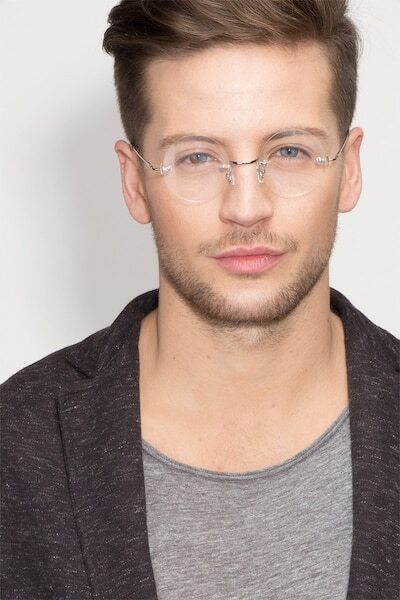 This rimless metal frame features a glossy silver finish and perfectly round lenses. 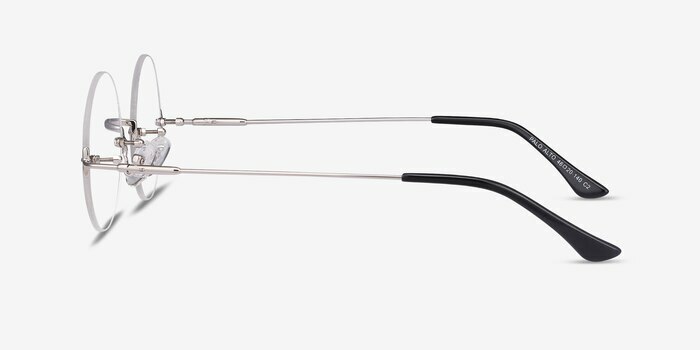 The slender metal arms are completed with plastic arm tips, making this look demur and simple. 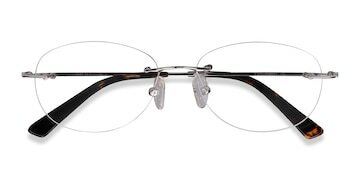 Spring hinges add flexibility and comfort.